21st & Smallman in the Strip District, 21st and Smallman St. 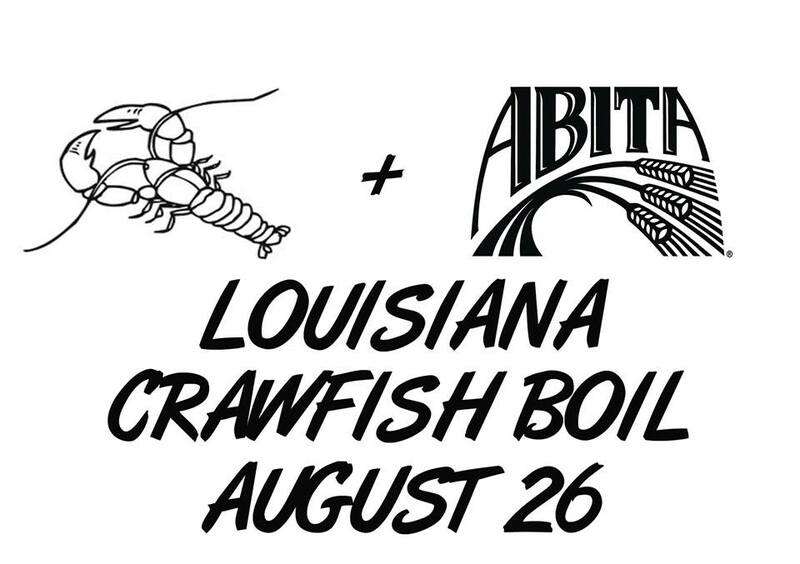 Craft beer lovers and enthusiasts, get ready for a once in a lifetime opportunity. 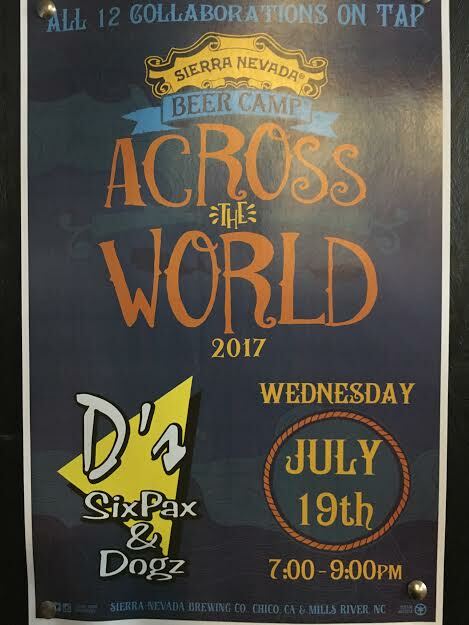 Sierra Nevada is heading to D's SixPax in Regent Square to tap all 12 collaboration beers they did this past year for their Beer Camp: Across The World Series. 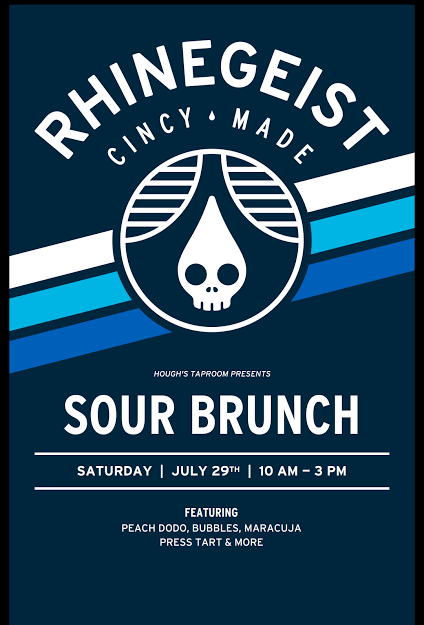 This is your chance to try rare and unique beers that you might not ever have the chance of tasting ever again. 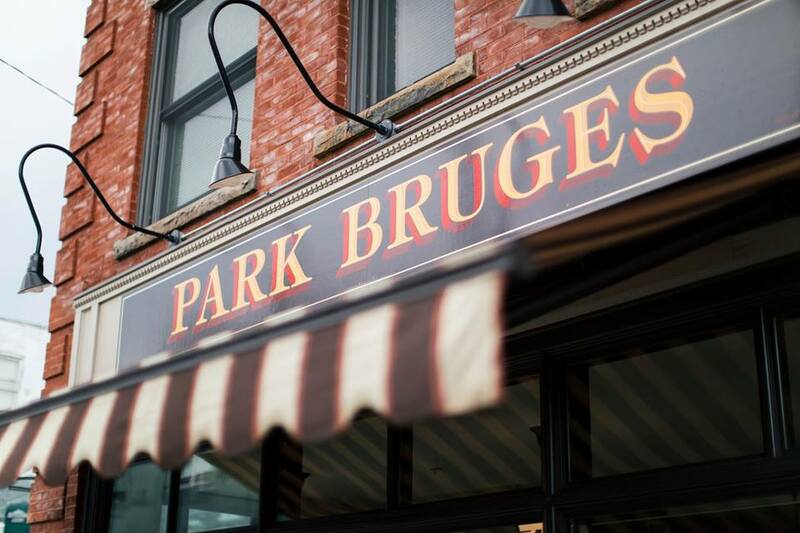 If you call yourself a craft beer fan, you won't want to miss this opportunity! 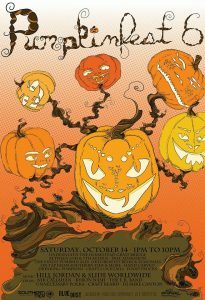 Blue Dust, 601 Amity St.
Head over to Boomerang Bar in Swissvale on Tuesday, November 14th for the perfect reason to keep happy hour going. 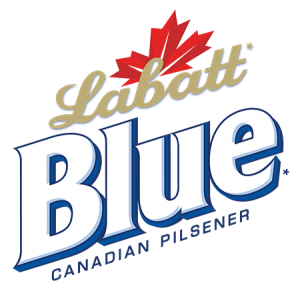 $2 Labatt 16oz drafts will be pouring along with giveaways, prizes and a raffle for 2 Pittsburgh Penguins tickets! Hough’s Annual Toy Drive | Friday, Dec 1st! It is that time of year again! Show some holiday spirit and earn your place on the "nice list" while simultaneously making someone's holiday a bit brighter! 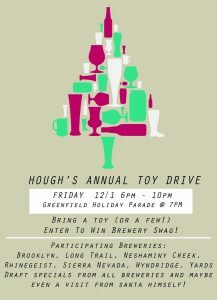 Hough's PGH is hosting their annual Toy Drive on Friday, December 1st! 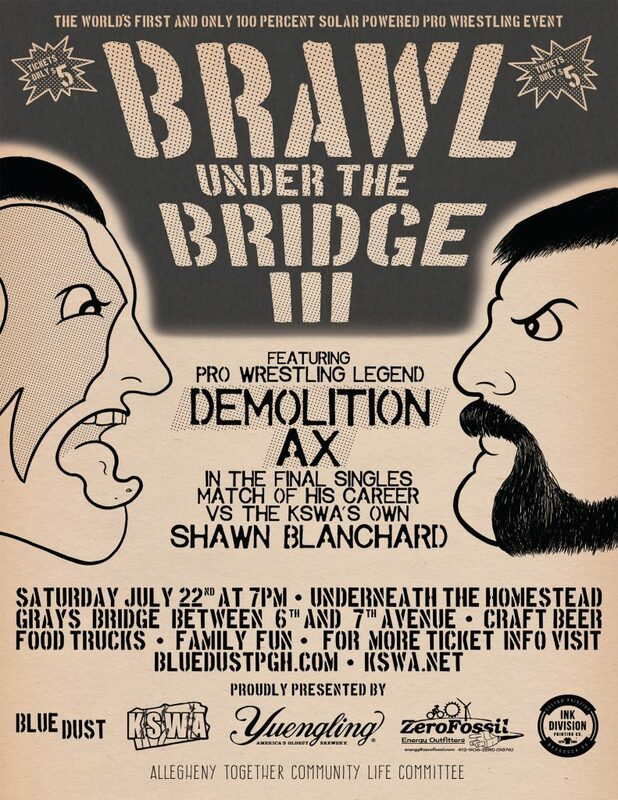 Some of PGH's favorite brews will be in attendance giving away swag for lucky participants. Stop bye, have a good time and walk away with a sense of joy in your soul!